The Weed Eater W25SBK is a solid 2-cycle string trimmer with a straight shaft for a long reach and wide, 16-inch cut. This model also has the convenience of a knock-down coupler, making it easy to store and easy to use. Part of ECHO's best-in-class X Series line, the SRM-3020 is a unique combination of engine size, horsepower and gear ratio to provide superior cutting performance. It comes standard with ECHO's high capacity Speed-Feed 450 trimmer head and a massive 20 inch cutting swath to handle the most challenging trimming tasks. ECHO's GT-225 Curved Shaft Trimmer combines professional performance with user comfort. The 21.2cc Power Boost Vortex Engine provides ample power, and the I-30 starter requires 30% less pulling effort to start. Plus, the GT-225 comes standard with the Rapid Loader fixed line head for easy line change outs. 25cc Straight Shaft 2-Cycle Gas String Trimmer, W25SBK The Weed Eater W25SBK is a solid 2-cycle string trimmer with a straight shaft for a long reach and wide, 16-inch cut. This model also has the convenience of a knock-down coupler, making it easy to store and easy to use. 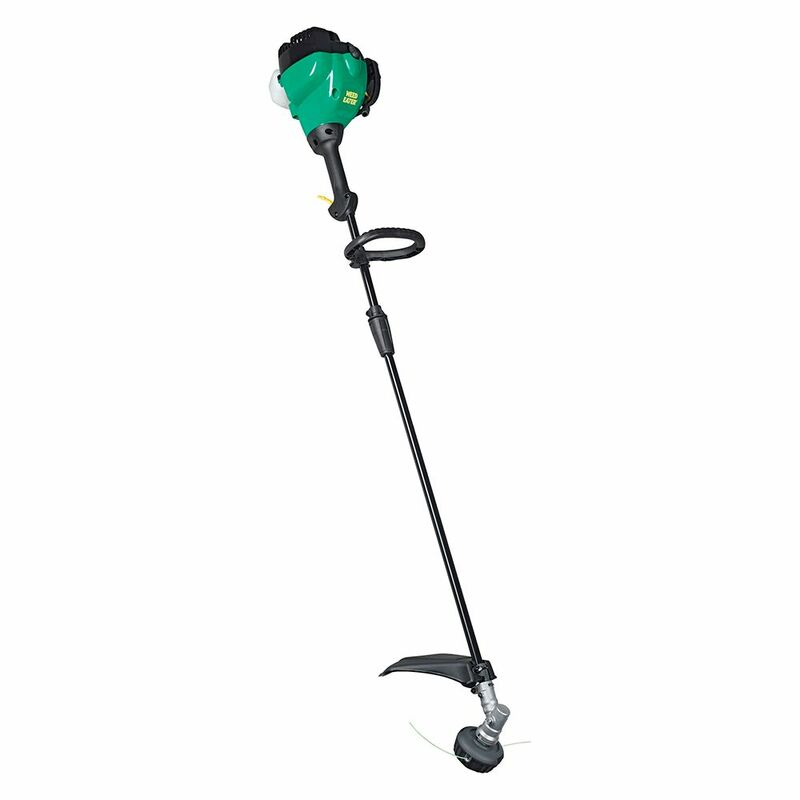 25cc Straight Shaft 2-Cycle Gas String Trimmer, W25SBK is rated 4.0 out of 5 by 1.